Ada Lovelace Day was founded by Suw Charman-Anderson in 2009 and aims to raise the profile of women in science, technology, engineering and maths by encouraging people around the world to talk about the women whose work they admire. This international day of celebration helps people learn about the achievements of women in STEM, inspiring others and creating new role models for young and old alike. Also, the event was part of CodeWeekEU that is a grassroots initiative which aims to bring coding and digital literacy to everybody in a fun and engaging way. For the first time, Ada Lovelace Day was part of our community activities. 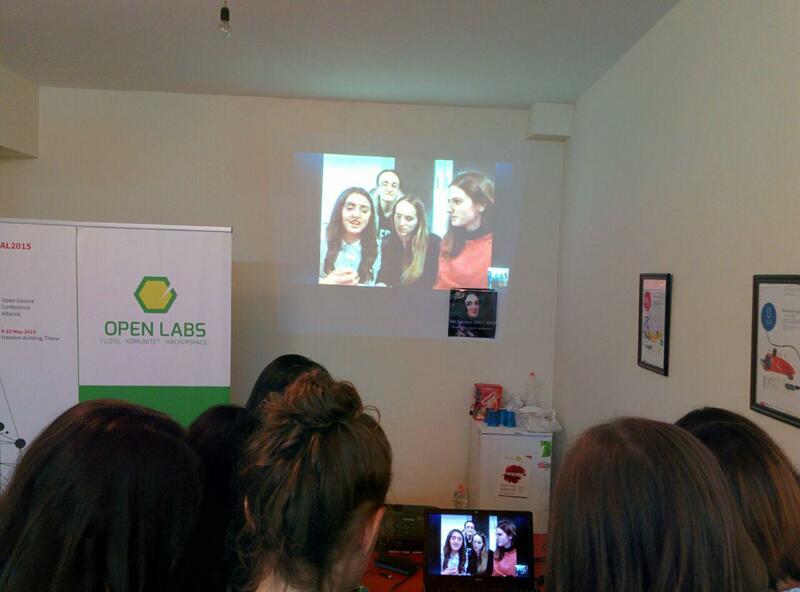 The event was organized by Open Labs girls and it consisted mostly in presentations about the life of successful women in different professions. Also the participants who were only women shared their own experiences. Silva opened the event and shared with the participants the history of Ada Lovelace Day, who Ada was, and what she did . My presentation was about “Fedora Women” that is a project designed to connect and assist women who are interested in using and contributing to Fedora. Because it is estimated that only 1.5% of free and open source software (FOSS) developers are female, Fedora Women is crucial in both uniting and empowering women against gender-based stigmas, which are often considered detrimental to the success of female FOSS developers. Since being announced in July 2006, Fedora Women has striven to raise awareness of the female community – along with the many roles women have as contributors and users – within the Fedora Project. The Gender Gap is one of the most talked topic since forever, and still a Gap. Where are women in Fedora? Why the gap is so big? 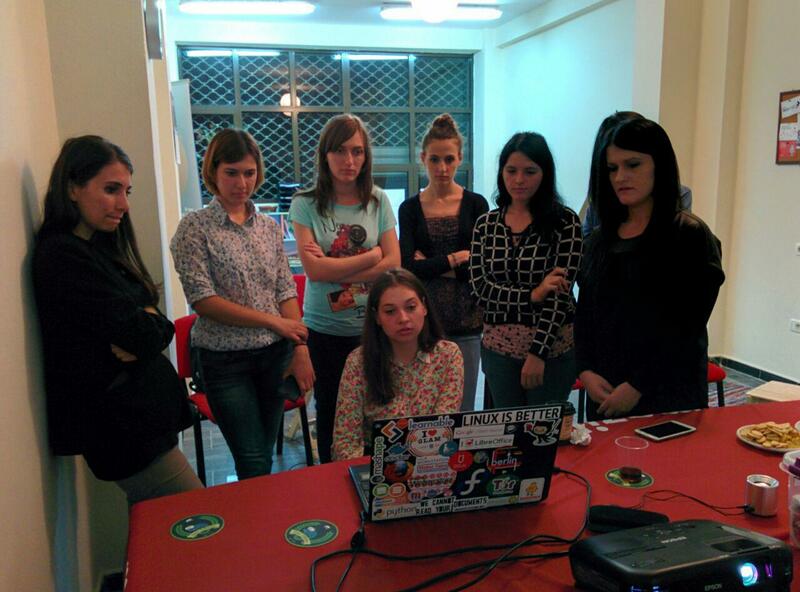 Women participation in open technology and culture is very important so we should all pay more attention. That’s why my talk was focused on the large steps we can take to reduce this gap and the importance of closing the gender gap. Bela followed with a presentation about the involvement of girls at LibreOffice, the big gender gap she has noticed at LibreOffice community in general, and the actions that have been taken in order to reduce this gap. She also shared her own experience on how she started contributing at LibreOffice despite the fact she has finished her studies on journalism, and how much she enjoys translating and bringing new people together to contribute on localization in their free time. She also mentioned her latest experience on Aarhus Denmark and the gender gap she noticed among the participants despite the attention this matter gets from all the community. Kristi, a Mozilla Rep, talked about women in open source technologies and especially in Womoz (Women & Mozilla) that is a community composed of members from different Open Source projects, mainly dedicated to improving women’s visibility and involvement in Free/Open Source and Mozilla, and to increase the number of women contributors. She told us some ways how to encourage women to be more active in technology no matter their skills are, and her experience in womoz. Denisa presented the most inspiring women in Wikimedia Foundation, some of the Wikimedia projects and how we can contribute in any of them. At the end all the participants shared their own experiences and got involved in a discussion about feminism in technology . 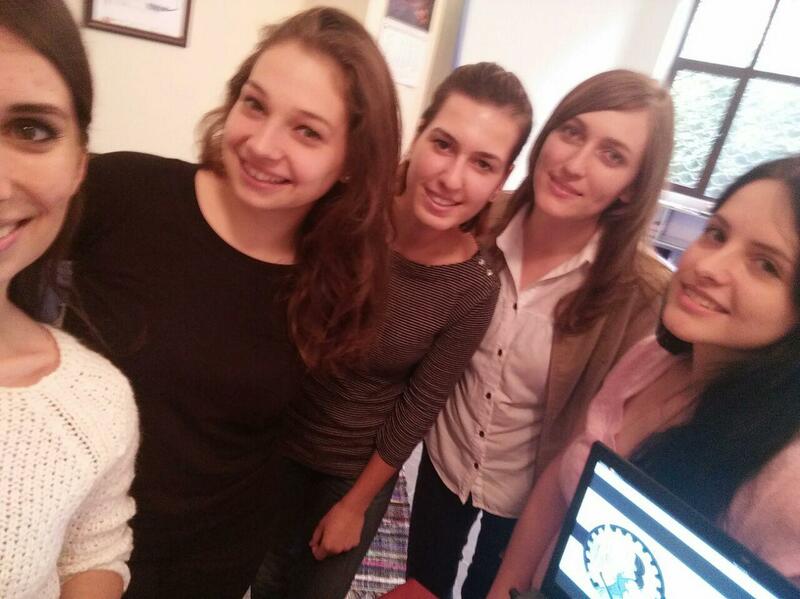 Also we had a very warm conversation on skype with some girls from GirlsCodingKosova, where we talked about possible future collaboration between us in different projects like Fedora, Mozilla, LibreOffice and Wikipedia. 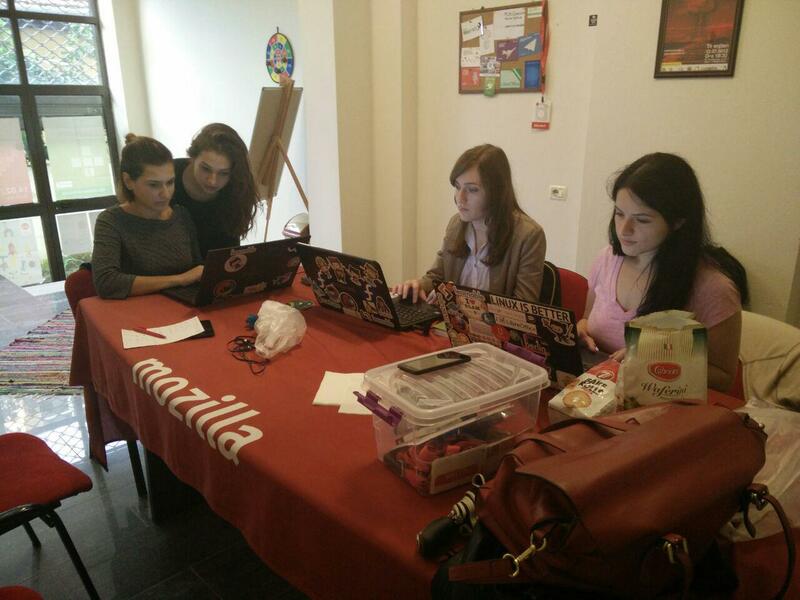 Maybe soon enough we will have a common activity where we can join our efforts on getting more women involved in technology, and as always we will keep you informed! October 20, 2015 June 6, 2016 jonaazizajComments are off for this post.